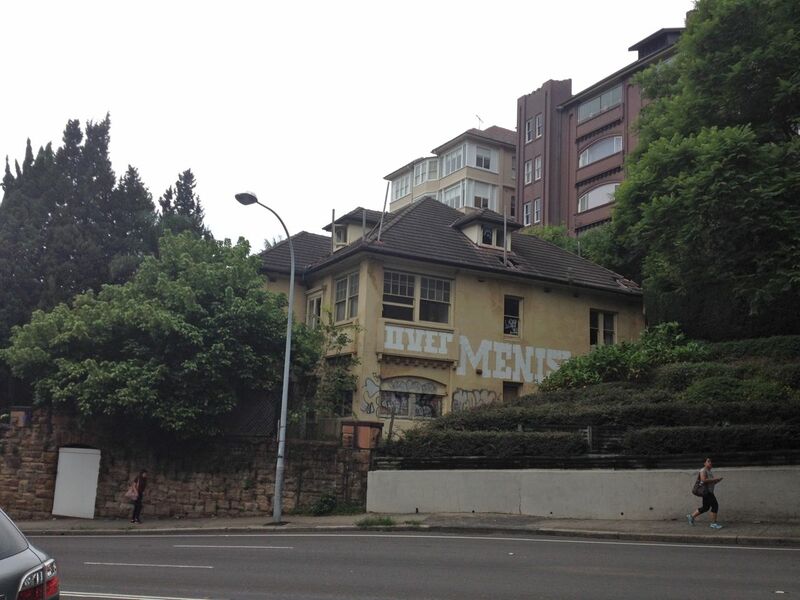 New South Head Road winds down the hill from Edgecliff, past a trio of derelict mansions with smashed windows and boarded-up gates, soon to be a new development, and rows of art deco apartment buildings. At the bottom of the hill the traffic slows as it passes through the shopping centre of Double Bay. It’s a fairly predictable collection of local shops from assorted eras, early twentieth century shops with awnings, 1960s arcades, a few newer buildings here and there. All goes along as expected until the corner of Knox St. Architect: Willy Wonka. Surely Sydney’s most bizarre bank building, the Double Bay branch of the National Australia bank has long operated from this conundrum. Every time I pass by it becomes something else in my imagination: a bath toy, a plastic comb, a kitchen implement, a cartoon castle. Bank architecture usually favours the solid square and dependable. Bank buildings give off the message that your money is safe inside. But not at Double Bay. Here the bank building gives the impression that at any moment a flood of banknotes may come shooting out the funnel at the top. 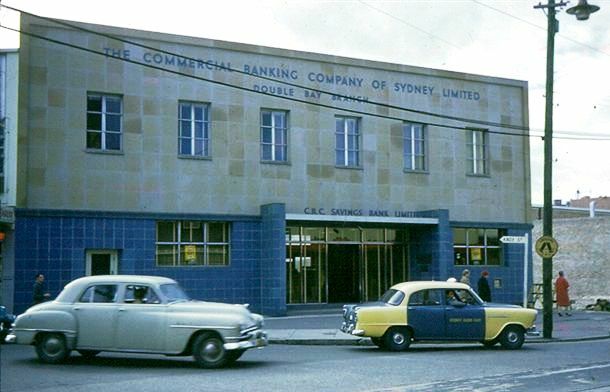 Back in the 1960s, the precursor to the National Australia Bank, the CBC Bank, operated at this location from a much more sensible sandstone and tile premises. But as the 60s turned to the 70s, and Double Bay became the place to buy garish floor-length gowns in psychedelic patterns, it was decided that the ladies needed a futuristic bank to match their outfits. Last week, after I drove down the hill past the abandoned mansions and into Double Bay, I noticed something had changed at the bank. The exterior was stripped of its NAB signs, and inside it was filled up to the windows with parcels wrapped in brown paper. The parcels were of all shapes and sizes, like oversized Christmas presents. At first I thought they might be the furniture from the bank but on closer inspection they were the contents of a house. The parcels were annotated with their contents: “floor lamp son’s bedroom”, “2 wooden chairs Dining Room”, “coffee table”, and stickers declaring them to have been shipped from Athens. Sydney is dotted with ex-banks, solid buildings now occupied by anything and everything from chicken shops to gyms, yoga studios and day spas. 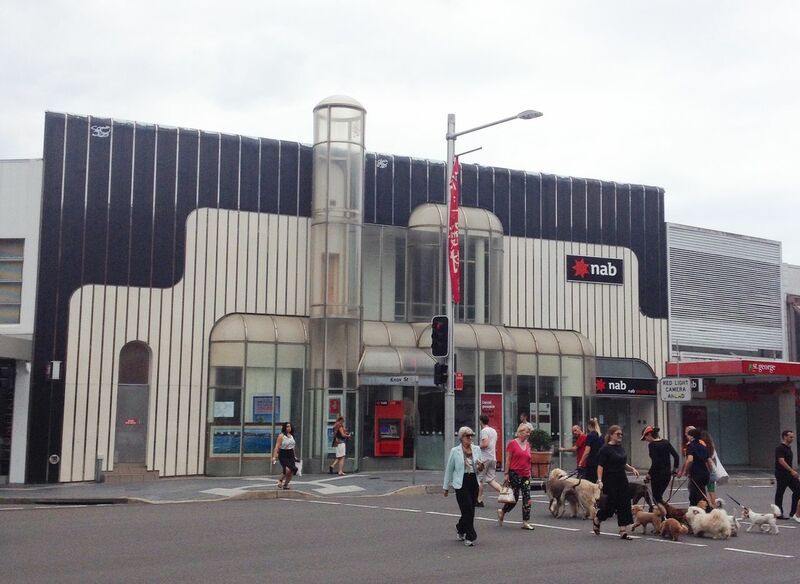 But the fate of Sydney’s most bizarre bank building is still uncertain. The book of Mirror Sydney, published by Giramondo, is out now. An album of Sydney encounters by Vanessa Berry. The psychogeography of the city. Places unusual, overlooked, hidden and secret. Minor landmarks and suburban oddities. Paying attention to the under-appreciated parts of the urban environment since 2012. Written on Gadigal land, with respect.